My absolute favorite night of the work week is Taco Tuesday because I LOVE anything Mexican. 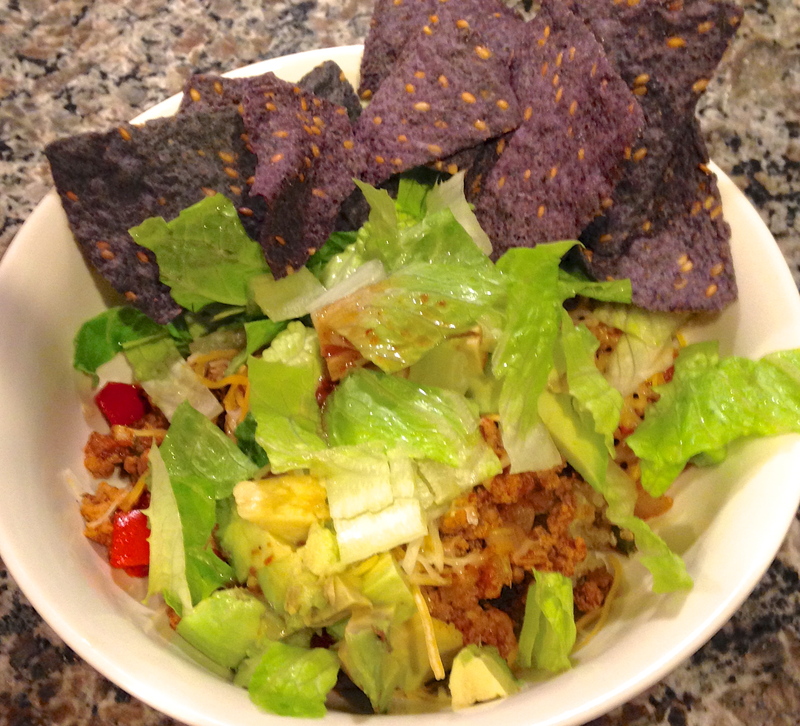 We always make some sort of Mexican dish using any meat (chicken, turkey, pork, beef, or fish), Mexican spices (especially chili powder and cumin), fresh vegetables, and I either pair with tortillas, sweet potatoes, rice, or quinoa with our favorite toppings. In a small bowl, mix together all ingredients. Store in an airtight container. 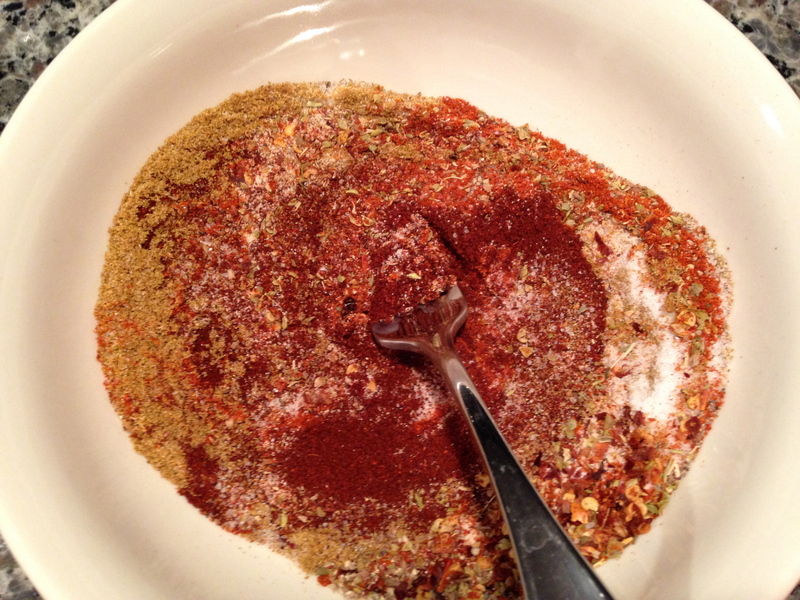 To season foods add 1 tablespoon of seasoning plus ⅓ cup of water and stir. 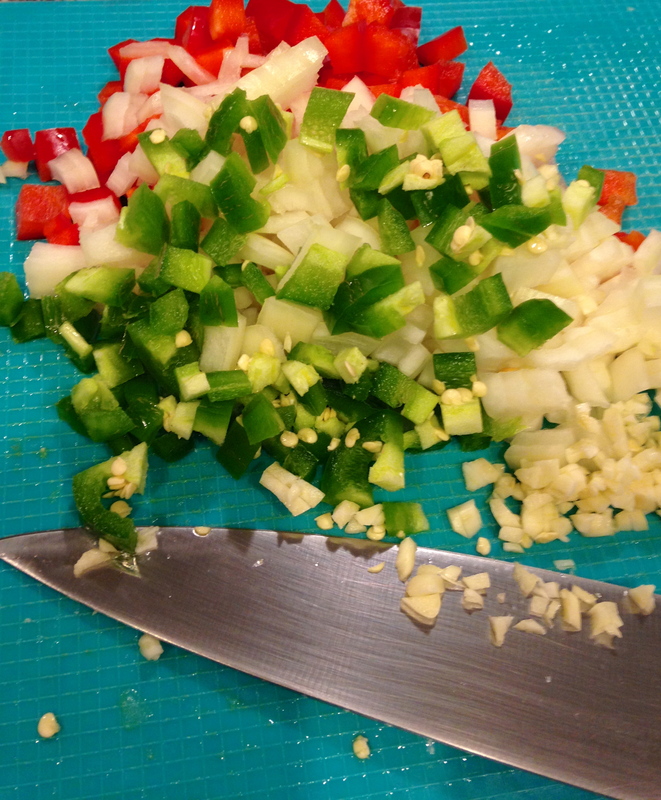 I chopped up one red pell pepper, about half of a yellow onion, two cloves of garlic, and one jalapeño (we like things spicy so I leave the seeds in, you can always scrape them out). 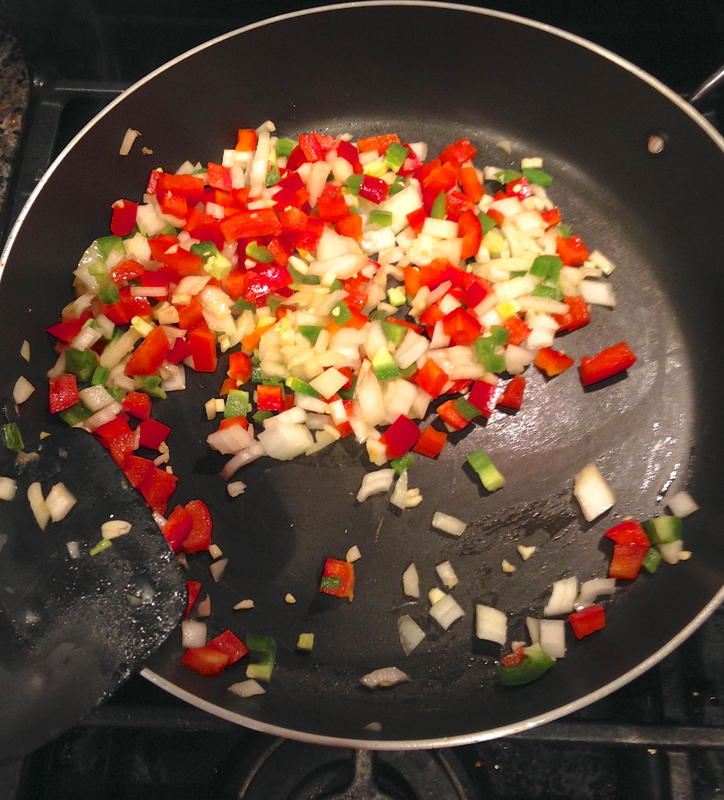 I heated about 1 tablespoon of extra virgin olive oil in a non-stick pan then added the veggies and sautéed them for a few minutes. Sometimes I will add one can of black beans and/or yellow corn rinsed and drained (I just didn’t have them in the pantry last week). 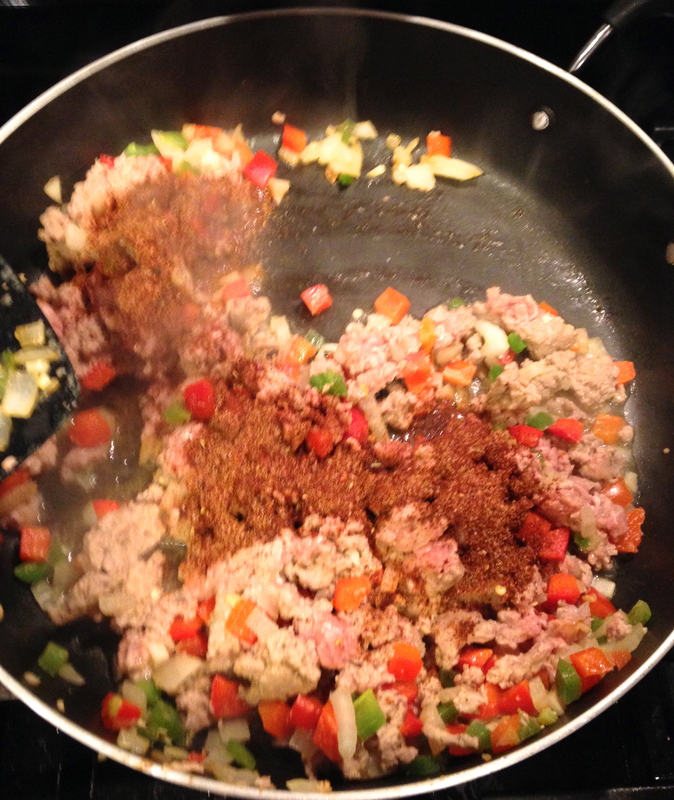 Then I added a little over one pound of Lean Ground Turkey and cooked until the turkey was barely pink before adding 1 heaping tablespoon of the home made taco seasoning. I also add about 1/3 cup of water with the seasoning. After you stir everything together if the mixture is too runny you could always add a few teaspoons of flour or cornstarch. Once everything is mixed together I served with our favorite sides and toppings! My husband likes brown rice, lettuce, cheese, and hot sauce. I like quinoa, lettuce, cheese, and avocado. And I always serve blue corn chips with Taco Tuesday. We like the Simply Balanced Organic Blue Corn Chips with Flax found at Target. Making every Tuesday a Mexican meal definitely helps with my weekly meal planning. 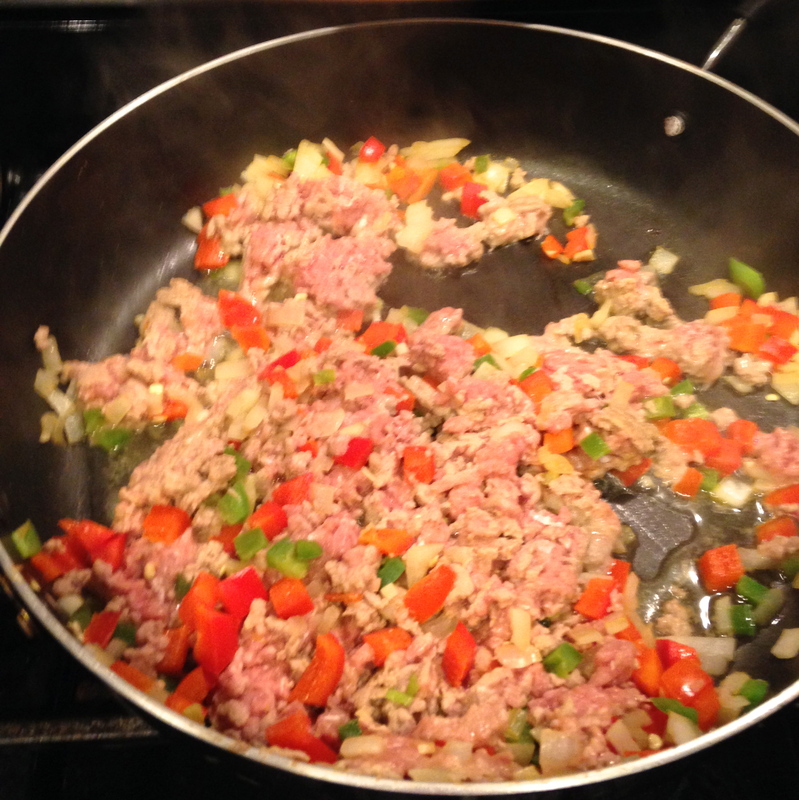 Enjoy the recipes and let me know what your favorite Taco Tuesday meal is!